To cook chicken or poultry, nothing beats a sauce baster. The Silicone Sauce Baster and Brush 4-Piece Set from Gourmet by Starfrit comes with everything you need to baste and brush all kinds of meats. 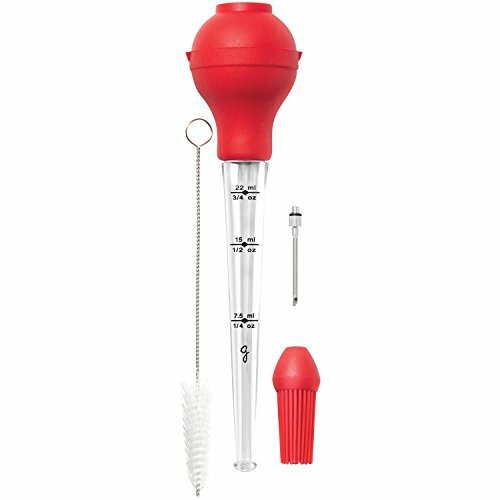 When this silicone baster kit is not in use, it stores compactly for easy storage.